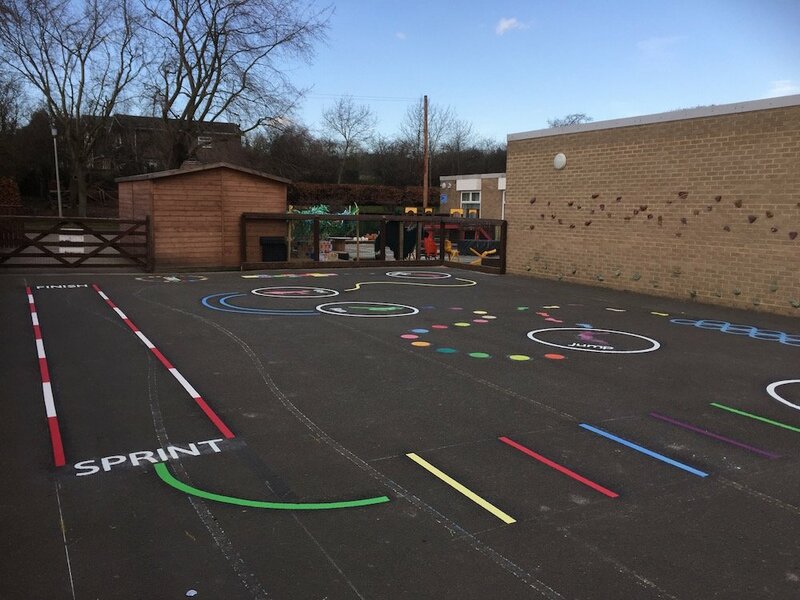 Our installation team travelled to Paisley, Glasgow to install some bright new playground markings for Glencoats Primary School. 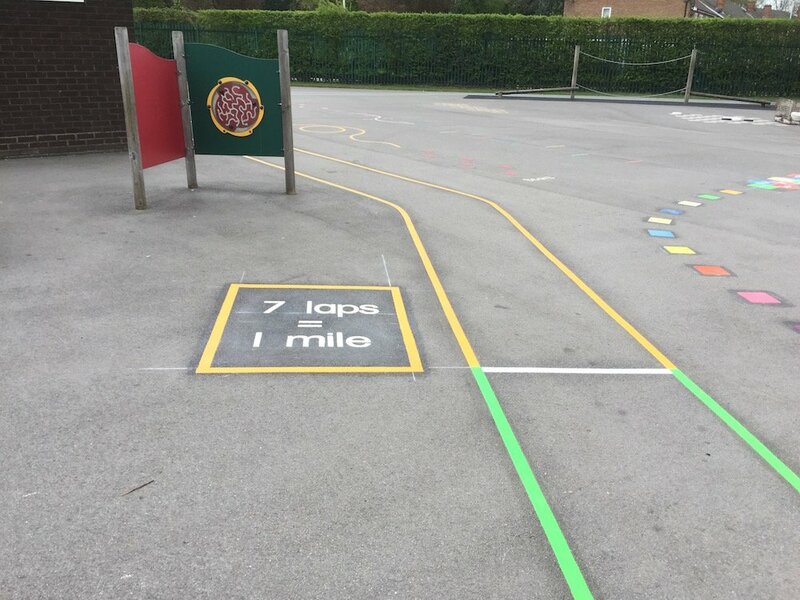 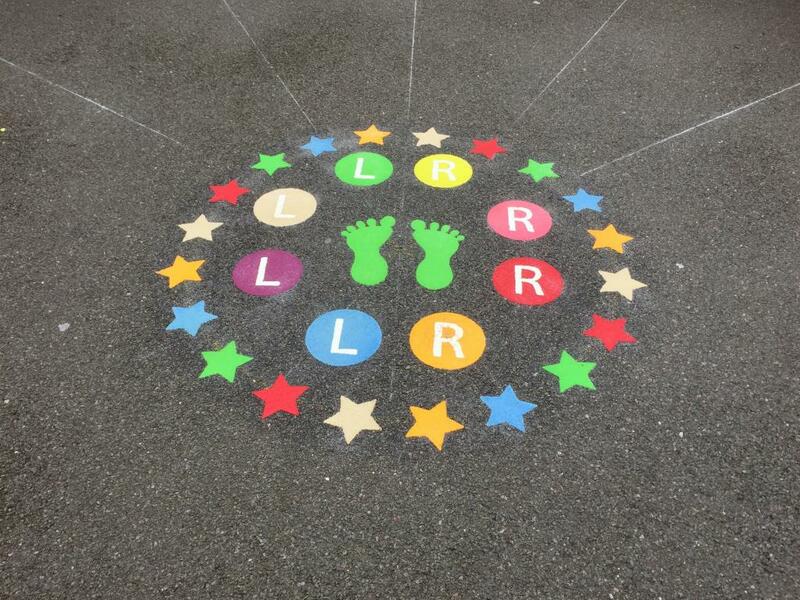 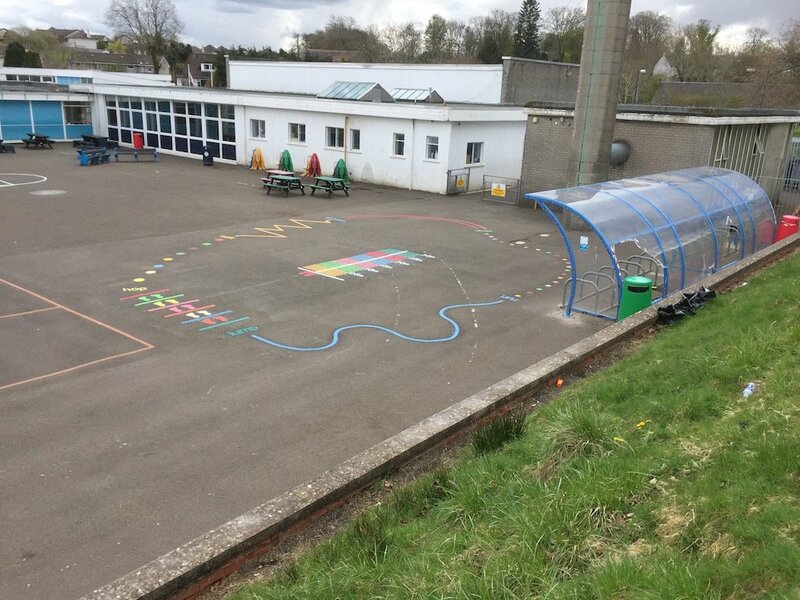 Our installation team travelled to Paisley near Glasgow in Scotland to install two new playground markings at Glencoats Primary School, the Do Turtle and the Calm Down Traffic Lights. 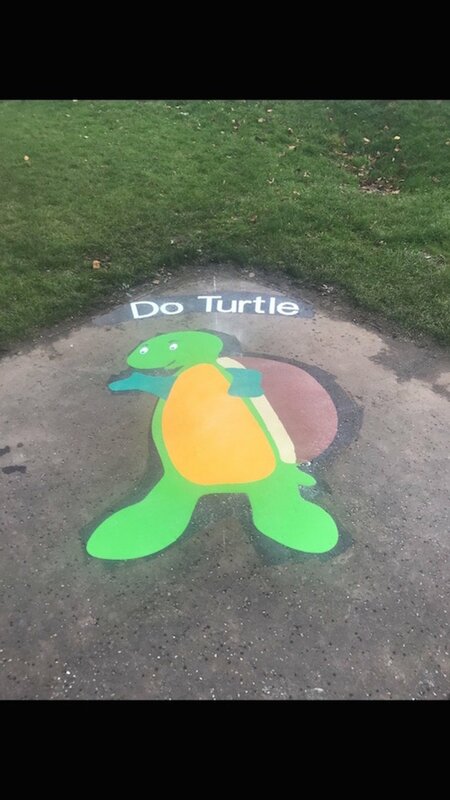 Firstly the team installed this Do Turtle. 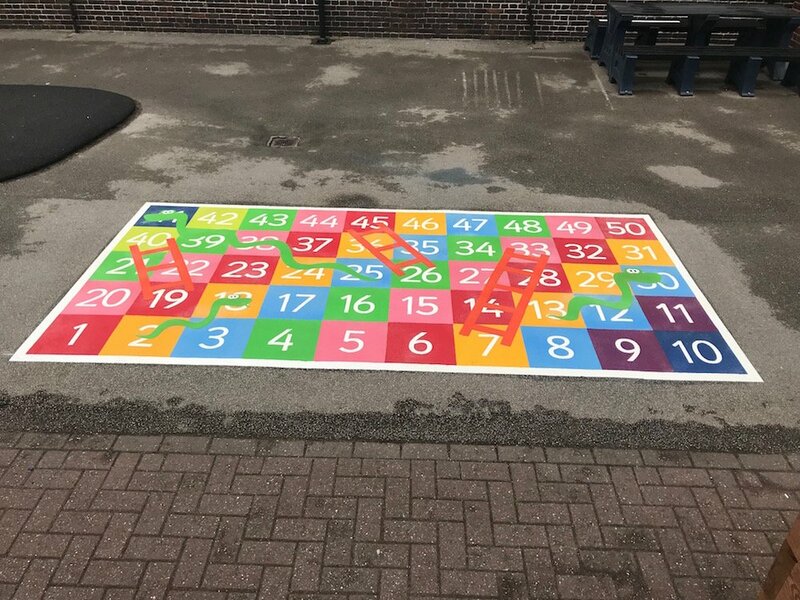 This playground friend really brightens up the yard, children dance along with the turtle and teachers use it during lessons. 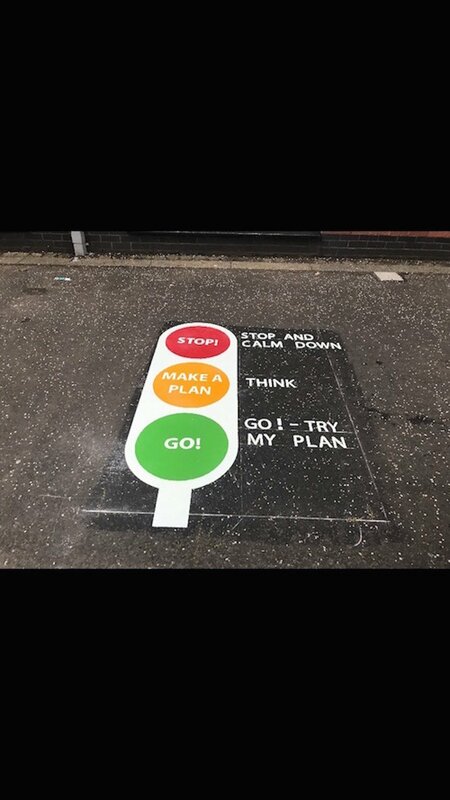 Next, the team installed these Calm Down Traffic Lights. 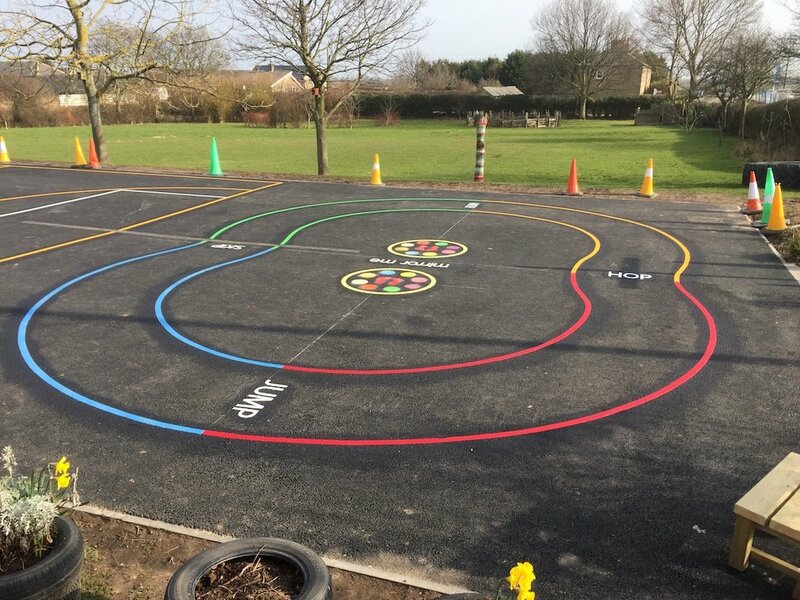 The Calm Down Traffic Lights are a great addition to the yard as they help children to learn to control their temper and emotions.